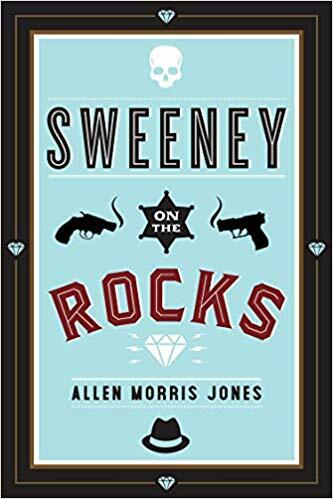 Author and publisher Allen Morris Jones will visit Livingston’s Elk River Books to read from and discuss his latest novel, Sweeney on the Rocks, on Thursday, April 25, at 7 p.m. In the book, Ted Sweeney is an “affable everyman in small-town Montana,” but before his reluctant entrance into the witness protection program, he was known to his former New York mob associates as Cosimo Aniello. However, with the corpse he finds “tidily arranged in his favorite recliner” his past may be catching up with him. 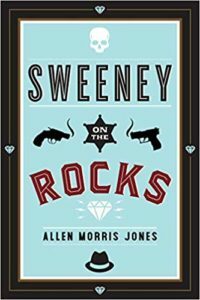 “With prose as cool and shimmering as the ice in a wiseguy’s heart, Sweeney on the Rocks belongs with the best of literary crime fiction,” writes Gwen Florio, author of the Lola Wicks mysteries. The former editor of the Big Sky Journal, Jones is the author of the novels A Bloom of Bones and Last Year’s River, and an acclaimed examination of hunting ethics, A Quiet Place of Violence. He is the co-editor, with William Kittredge, of The Best of Montana’s Short Fiction. 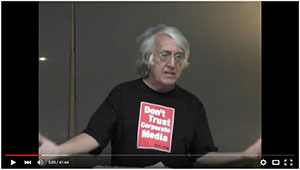 As an editor, he has overseen the publication of more than 100 titles, most recently for his own imprint, Bangtail Press. The event will be held upstairs at Elk River Books, 120 N. Main St. in Livingston. For more information, call 333-2330.